Australian-based global equities manager, Antipodes Partners, has launched a brace of portfolio investment entity (PIE) products under the aegis of NZ fund hosting firm, Implemented Investment Solutions (IIS). 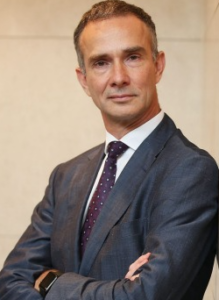 Antipodes, founded in 2015 by former Platinum Asset Management deputy chief investment officer, Jacob Mitchell, has packaged up two versions of its global share strategy as PIEs for the NZ market, including: the Global and Global Long funds, which both follow similar core approaches but the former allows both shorting and leverage. Since inception in July 2015, the Antipodes Global and Global Long funds have returned a cumulative 45.3 per cent and almost 50 per cent compared to the MSCI All Country World Net Index (MSCI AWI) $A return of 31.7 per cent. The Antipodes PIE funds are benchmarked to MSCI AWI in NZ dollars. To date, Antipodes, which is part of the ASX-listed Pinnacle Investment Management stable of boutique funds, has accumulated over A$7.5 billion across the two global funds. The manager also offers a specialist Asia fund as an Australian unit trust – currently valued at about A$80 million. Last September, Pinnacle hired David Batty as head of business development in NZ. Batty was previously with third-party distribution firm, Heathcote Investments. Pinnacle’s nine underlying firms include retirement income-focused Plato Investment Management, ‘high conviction’ Aussie shares specialist, Hyperion, and Firetrail Investments, the new boutique shop run by ex-Macquarie portfolio managers. The group also houses international listed property firm, Resolution Capital, which recently scored a large mandate with ANZ Investments in NZ. With the addition of Antipodes, IIS, headed by Anthony Edmonds, now counts five managers under its fund-hosting roof, namely: Russell Investments; APN Property; Hunter Investment Management; and, Brandywine Global Investment Management (part of the Legg Mason affiliate group). IIS has appointed MMC to supply registry, fund accounting, and unit pricing for the Antipodes funds while Public Trust is supervisor and custodian.